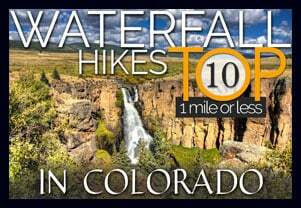 The Butler Gulch Trail near Berthoud Falls is a moderately difficult out-and-back trail with a balance of shade on the first half and then above treeline with spectacular views of peaks and wildflowers all around. Activities here include stream crossings and steep climbs, and one can visit an old mine above the treeline. This is also a great snowshoeing hike during winter and is a well-known skiing destination. 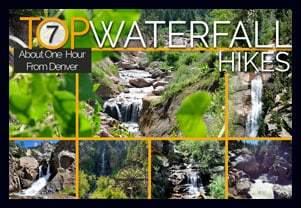 Explore the full Butler Gulch hike profile below for trail map, driving directions, and more tips and details to help you enjoy this adventure near Berthoud Falls. The Trailhead for Butler Gulch is about 1 hour West of Denver via Interstate 70. Take the exit for Hwy 40/Winter Park (easy to miss) through Empire (be alert for reduced speed limit) up to where US 40 makes a sharp bend to begin climbing up the mountain toward Berthoud Pass. Just before this turn, there is a left-hand turn to take for the Henderson Mine Road. Follow Henderson Mine road for about a mile. It will pass the mining operation and the parking area is just past the mine on the left. The main parking area is the first one you will encounter and it’s large. A smaller one is about .25 mile up the road (the road is 4WD after the first lot) is small and fills fast. 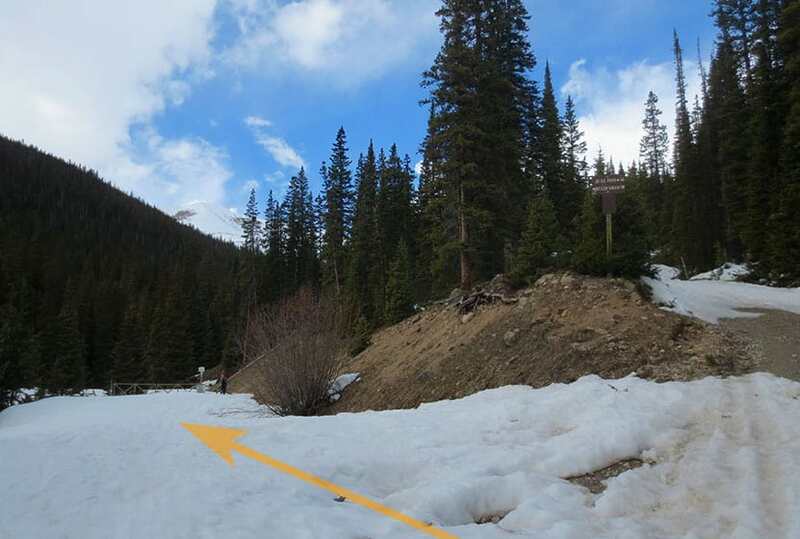 We recommend parking in the first lot as it is maintained and this will prevent damage to the trailhead. From the parking area, hike the 4WD road for about 1/4 mile to where the trail splits. There should be signage here at the fork indicating the Jones Pass Trail goes to the right, and the Butler Gulch Trail goes to the left. Soon, the trail begins to climb through mixed forest of spruce, fir, and aspens. After approximately one mile, a mountain stream nears the trail, forming a quaint meltwater waterfall (right side of trail). 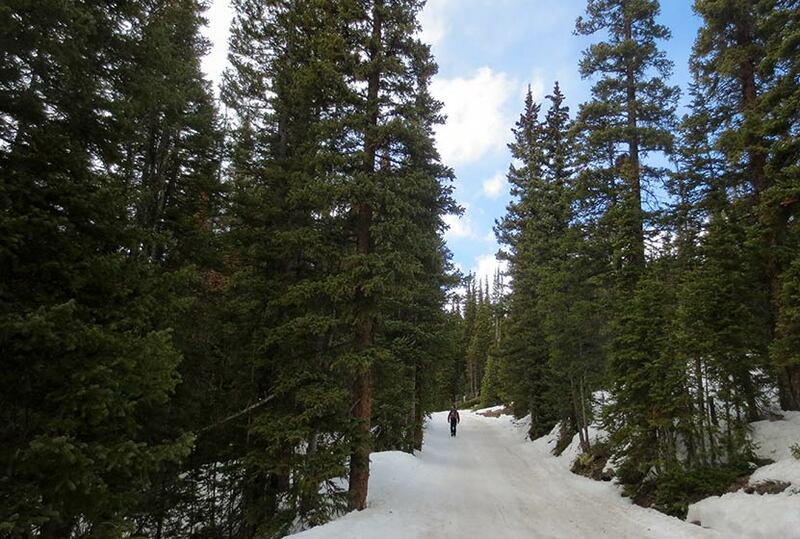 Soon, the trail emerges from the trees into a landscape of snow-capped mountains. This bowl will be replete with wildflowers in the early weeks of Summer. At this point, hikers are exposed to the elements, and during the Summer months, lightning storms can come up without warning in the afternoon. So, keep an eye on the sky. Winter travelers should be alert to avalanche conditions. Here in the bowl, the trail has come to about 2.5 miles and a hike back will make this a 5-mile round-trip adventure. 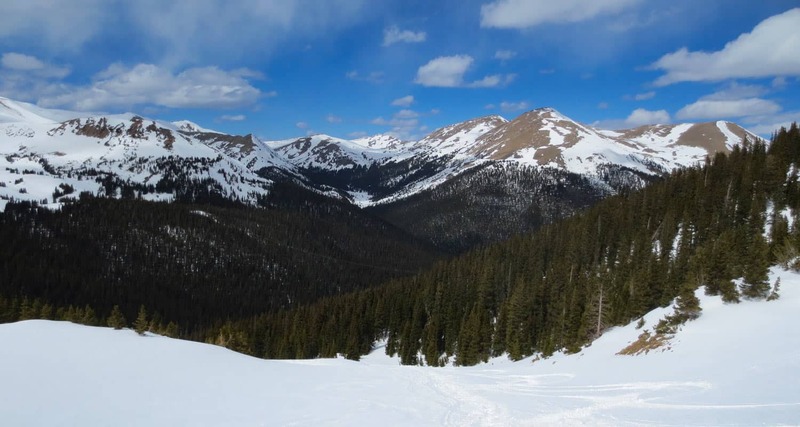 Hikers can add a strenous hike up the nearby ridgeline to gain panoramic views on the Continental Divide. When I hiked this in April of 2016, tracks were evident that led past the remains of old mining equipment along the ridge. At the top, the views are absolutely beautiful. It’s a great place to take in hundreds of miles of changing aspen trees in the Autumn. The trail map link for Butler Gulch in this post is not the best. 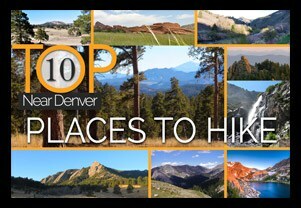 Because of this we recommend The Latitude 40 Summit County Trails Map. Gear: Bring your trekking Poles. And be sure to wear traction devices like YakTrax in the Spring and early Summer..
Bugs: Because of standing water there may be mosquitos in the summer months.